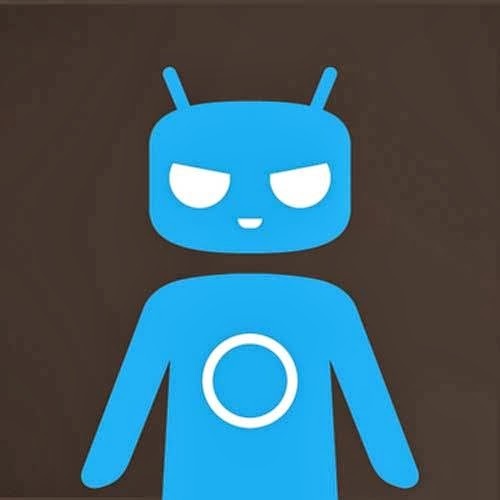 CyanogenMod is the best custom ROM or firmware for Android currently. There are many other ROMs like CarbonROM, MiUi, Lewa OS etc. which are popular but CyanogenMod ROM is 'mother of these ROMs'! There are many reasons for that like when the new version of Android releases, CyanogenMod releases their next Firmware or ROM version as soon as possible but in less than 1 week after the release. That makes people to download the ROM and not only this, the ROM provides many features that stock roms don't provide like DSP manager, Focal application, Theme support, better and faster notification bar, better and modified call application, fully cusomtizable, all blotwares, light launcher, VPN like application which allows you to surf internet anonymously. I am now fed of writing the long features of this ROM so you can see some features of this ROM in my older post on Samsung Galaxy S for this ROM. ClockWorkMod Recovery (tutorial for this recovery ONLY) or any other recovery like TWRP etc. Charged Motorola Moto G upto 70%. Don't flash the ROM on any other devices like Motorola Moto X just thinking that the name or the specifications of the device are almost same. Don't mix the content of this ROM with any other ROM like SlimROM, Stock ROM or any other ROM because it might not boot. Follow only things which are written here! If you followed anything else, no support will be provided. The ROM works in any bootloader, either on Android 4.3 Bootloader or Android 4.4 Bootloader. MXRootRom is not responsible for bricked Motorola Moto G. You may end up with bricking your Motorola Moto G like device not booting, SD Card not detecting or any other thing that fails to work. For that reason, I have added a special step to make a Nandroid backup but even after making a nandroid backup, I am not responsible for your device. You are trying the guide on your will not mine. Nothing special except some common sense. Download the ROM from your PC or from any source. When you will be in CWM Recovery open Backup and Restore option from it and select Backup. After the backup completes, select Wipe data/factory reset option. After wiping your data, go to Advanced option in CWM recovery and select Wipe dalvik cache. Now select install zip from sdcard option from the main menu and select the ZIP which you just moved to your SD Card and confirm it by selecting Yes in CWM prompt. [Optional!!] Now flash Google Applications by using selecting install zip from sdcard and selecting the ROM and confirming. Select Wipe data/factory reset option. The ROM will take some more time to reboot because the system is building dalvik cache, data, cache and other files that are required for the booting of the system. The ROM will not take more than 5 minutes to boot, please don't shut down the device in the booting. If the ROM boots properly, then please comment here and give us your reviews, even if the ROM fails to boot, then too comment here and telling what's not working and the steps that you followed. Thanks for your nice comment. Keep visiting here. Hi! Make sure you have wiped the data properly and formatted the system too..! If still doesn't work then wipe dalvik cache after flashing the CM 11 in your Falcon Boost. @Harsh Singh: Download new CM for Moto G (XT1033).. It will work on both the SIMs. Should I download the nightly build or the snapshot build?? can i have dual sim support in cyanogenmod??? Yep, you can. Official build has Dual SIM support. Try Snapshot build because it is more stable.